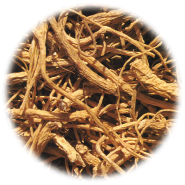 EUROMED ginseng extracts are standardized herbal extracts of Panax ginseng C.A. Meyer root, a plant widely cultivated in China, Japan, Russia and Korea. Compounds found in ginseng are polysaccharides, vitamins sterols, amino acid and peptides, essential oil and polyalkynes. The main characteristic products are triterpene saponins, glycosides of tetracyclic agycones of the dammarane series, ore specially a 3 ß∞, 12 ß 20 (S) trihydroxylated type (protopanaxadiol) and a 3B,6 ∞, 12 ß, 20 (S) tetrahydroxylated type (protopanaxatriol). Among protopanaxadiol type compounds, ginsenosides Ra1,Ra2, Ra3, Rb1,Rb2,Rb3, notoginsenoides R4, Rs1,Rs2 malonilginsenoides Rb1, Rc,Rd can be found; in the protopanaxatriol type compounds, ginsenosides Re, Rf,Rg1 and notoginsenosoide R1 can be found. Extracts of ginseng are used as a tonic for invigoration and fortification, in times of fatigue and debility, for declining capacity for work and concentration and also during convalescence. Ginseng extracts is generally well tolerated. Not significant toxicity or drug interactions have been reported. However excessive use can lead to sleeplessness, hypertension or other side-effects. Ginseng extracts should not be taken pregnancy and in case of an accurate illness or hypertension. 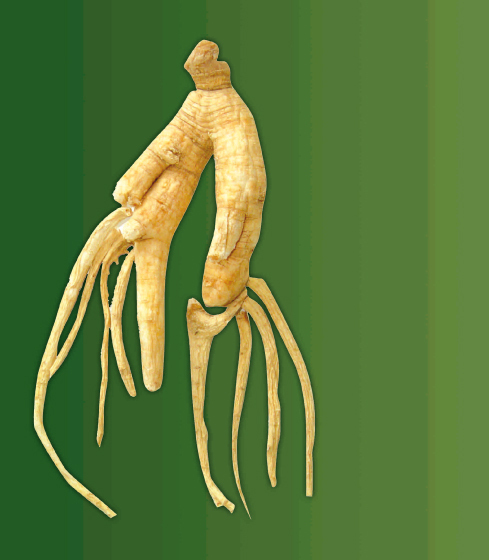 Ginseng extracts are notable for its particularly high level of clinical safety. To-date accurate cases ginseng extract poisoning hace not been reported.